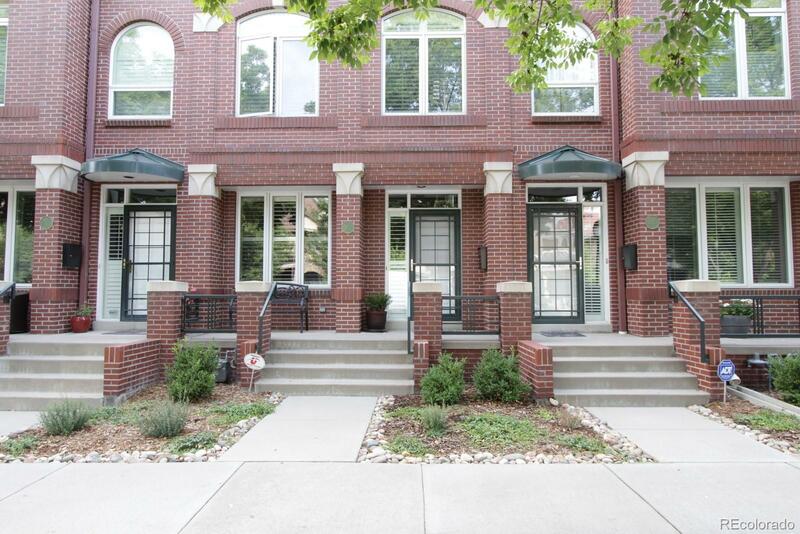 Fabulous 2 Bedroom, 3 bathroom townhome in desirable Denver neighborhood. Your future home features beautiful hardwood flooring, and gorgeous plantation shutters throughout. Main level has Living Room with dual-sided gas fireplace, shared with Dining Room. Kitchen features granite-slab countertops and stainless-steel appliances with gas range. 2nd floor has 2 bedrooms, including the spacious Master, which features a private bathroom and private patio. 3rd floor/rooftop level has big loft with dual-sided decks. Basement and top floor have plumbing ready to go, and up to two more bathrooms can be added! MUST SEE! If you enjoy outdoor living, look no further! Walking distance to great restaurants and shops in downtown Cherry Creek! Call now to schedule your personal showing!